Zkittlez is an indica-dominant mix of Grape Apeand Grapefruit that is crossed with another undisclosed strain to produce this candy-flavored cannabis bred by 3rd Gen Family and Terp Hogz. This award-winning combination took 1st Place at the 2016 Emerald Cup and 1st Place Indica at the 2015 Cannabis Cups in San Francisco and in Michigan. 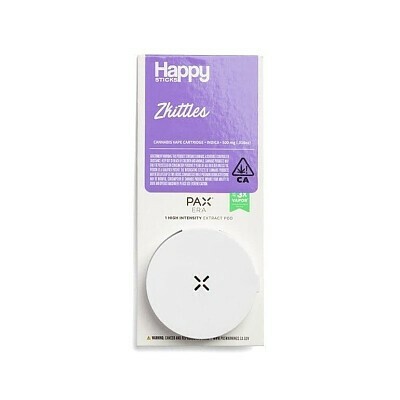 The effects of Zkittlez are surprisingly uplifting for an indica, leaving consumers focused, alert, and happy while relaxing the body to help unwind any time of day.